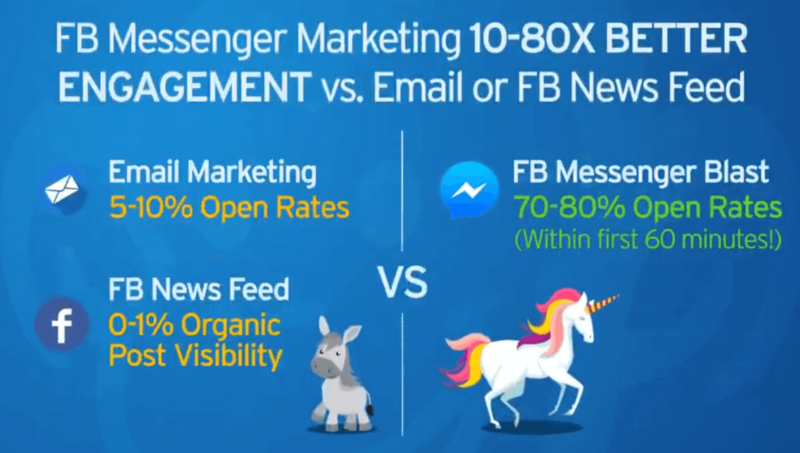 I think we can all agree that Facebook Messenger Marketing will be the largest growth hack for 2019 and beyond. The early adopters who rush in will build massive lists and see huge ROI's before this market becomes over saturated. 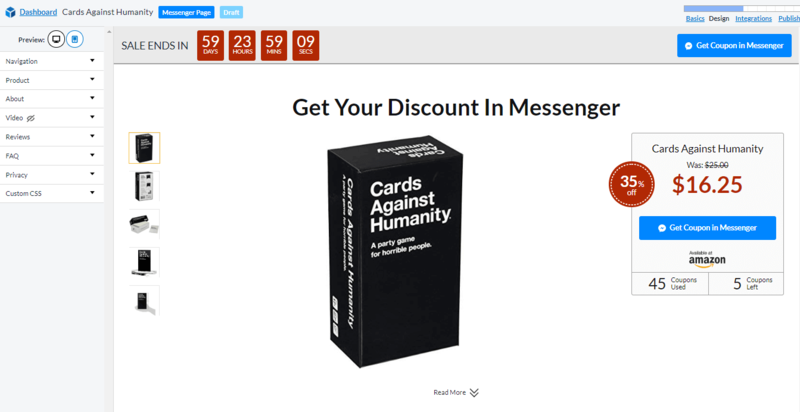 For those reading this post, you most certainly already know many of the benefits Messenger has over email marketing and how engaging it is. It create a two way conversation with your customers and allows them to have better, faster, and instant access to your automated support. This one of the main reasons why Facebook is encouraging this for advertisers, and recently announced it will be combing Facebook Messenger with Instagram and Whats App. Manychat and Chatfuel are some of the first companies in this space, but have a lot of alternative companies getting into this space. These enable anyone to create an automated campaign without even knowing what html is or how to code. This is because Facebook opened up their API in September 2016 and with these new features make it a dream for marketers. I recently switched over to MobileMonkey from Manychat and am enjoying their new features. However, these are all great systems and today I wanted to go through the Manychat and Chatfuel review and alternatives for you to setup your automated messenger Chatbots. 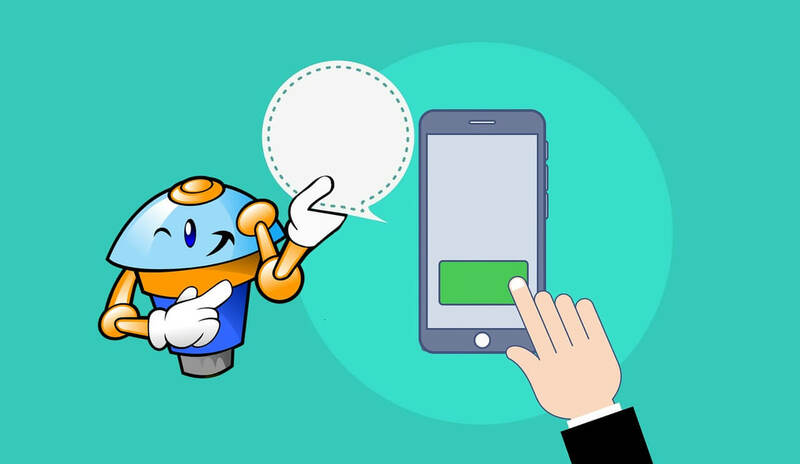 If you are looking for information on how to build a chatbot, please refer to our other guide with detailed information & benefits. Manychat is one of the best Messenger Service platforms on the market today. As a pioneer in this space, it allows you to build relatively complex customer interaction scenarios without ever touching any code. You only drag & drop elements inside the builder and is very convenient for adding tags and segmenting clients lists. As i mentioned above, I previously used Manychat and was very happy with their services. One of the biggest benefits of Manychat is their comprehensive Zapier integration. If there is a feature that you can think of that Manychat does not offer, you can easily add this by a web hooks making anything possible. One of my few complaints with Manychat is when editing the sequence you need sometimes need to leave the flow to see the next sequence structure. This is my being very techy here, but when editing a particular message and want it to branch in a new flow it does show that all within the same sequence. Therefore, you need to go to ta different screen before returning. Chatfuel does have this feature, but is something minor in the over simplicity of the amazing Manychat program. Chatfuel is the largest messenger company and power 46% of all Facebook bots. They were created in 2015 on telegram, but now mostly just focus on Facebook messenger for their billions of users. Their goal was to make bot-building easy for anyone and work with many NFL and NBA teams, publishers like TechCrunch and Forbes, and millions of others. Chatfuel is still relativity easy to use, once you understand the flow structure and how everything works. I highly suggest taking their training program before starting, and will save time knowing what all the features do in advance. I will get into the details and training in another post. One thing I really like about Chatfuel is how it allows you to see all of the flows and sequences all within the one message. It does not make you leave to edit one of the branching flows but keeps it all within the one message. However, Chatfuel is the more expensive option as it was one of the first people in this space. Their pro plans (which is essential to remove branding and integrations) starts at $15 / month for 500 users. It escalates to $85 / month for 10,000 and $180 / month for 25,000 users. Plus some of their premium and tam plans are more expensive then the others. MobileMonkey is my new favorite Manychat & Chatfuel alternatives and is growing and improving everyday. As I mentioned above, I recently made the switch over from Manychat to MobileMonkey and this is what you see with my lists. 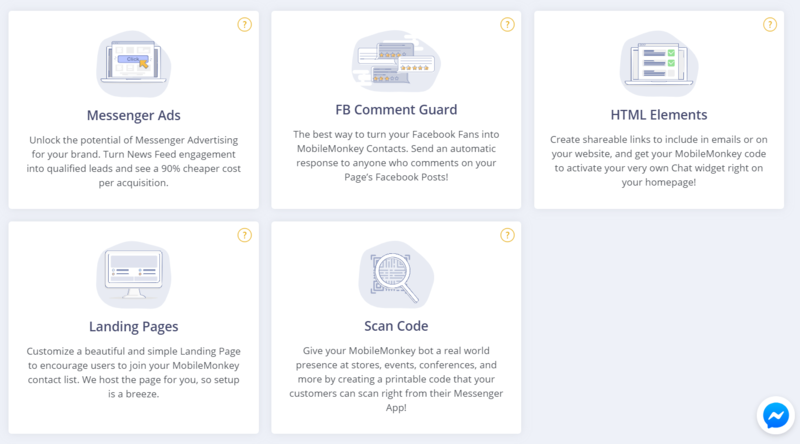 It was launched in 2018 by Larry Kim (who founded WordStream) and after selling it for 157 million is now 100% dedicated to making MobileMonkey the best Messenger Platform. One of the firs things you will notice when using their messaging system is how easy it is to use. Their interface does not offer the flow features yet, but simplicity to add everything all within the same dashboard. It has many of the traditional elements such as the drip sequences, broadcasts, landing pages, and the Click To Messenger Chat & Links as you see above and below me. All of this extremely easy to use and requires zero coding. Also Mobilemonkey is the best pricing and has their upgrade of 5000 contacts for only $19 for the pro plan. Each additional block of 20k contacts is only an additional $19 / month making it nearly half of what the other competitors are. Sometimes they do not make this special public, but here is a list to the most up to date coupon. LandingCube has recently launched its Messenger App inside its Landing Page Templates for Amazon FBA. For those who are already using LandingCube or selling on Amazon, know how amazing this is. Essentially they are a landing page builder designed specifically for Amazon Coupons. You upload the excel document with unique codes, and to get the download the subscribers must interact with your chatbot. As an example of how fast you can setup your own LandingCube campaign for your Amazon product, all you do is copy the Amazon Url into the program and it sets up automatically. This did not even take me 5 minutes to setup for a Cards Against Humanity Example. Once your landing page is setup, you get to choose between using the LandingCube Messenger system or connecting with Manychat. The LandingCube settings are limited to only 2 messages at the current moment, so i choose to use the Manychat API so I can send out drip sequences and broadcasts afterwards. 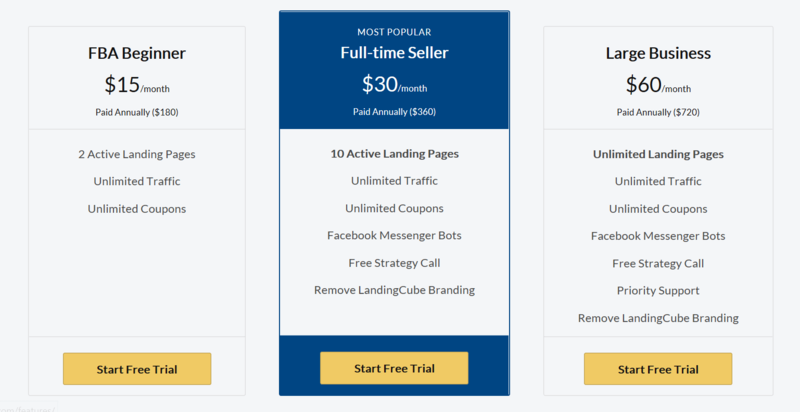 The best part about LandingCube Review is that it is only $30 / month for unlimited traffic, unlimited coupons, the messenger bot, 10 landing pages, and even a free strategy call. Unless you are running dozens of products, you will never have to spend any more then the Full Time Seller Plan. Plus they have a FREE 21 Day Trial and can truly change the way you advertise your FBA business. Of all the different Messenger Tools I would have to say that in my MSGHero Review they are by far the most user friendly software I have used. 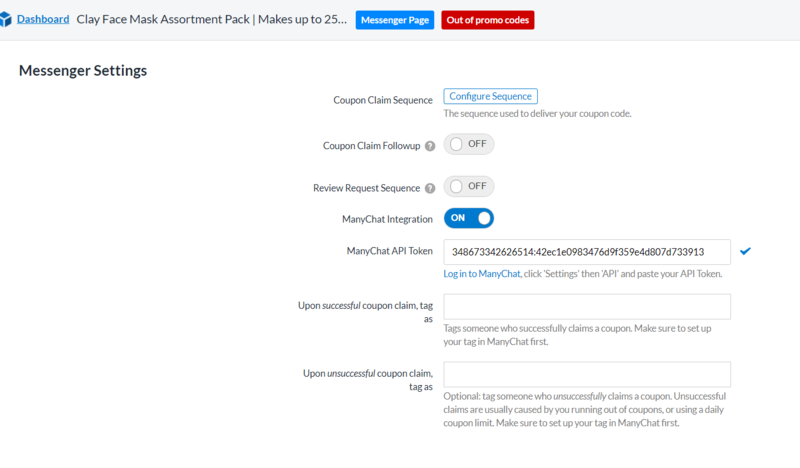 You have all of the same features as Manychat & MobileMonkey, plus a few additional feature is terms of tracking provided within their platform. MSGHero allows you to track leads, lifetime value, and ROI from your messenger platform. This is done with a general website pixel code, add to card code, purchase, and lead pixel codes. 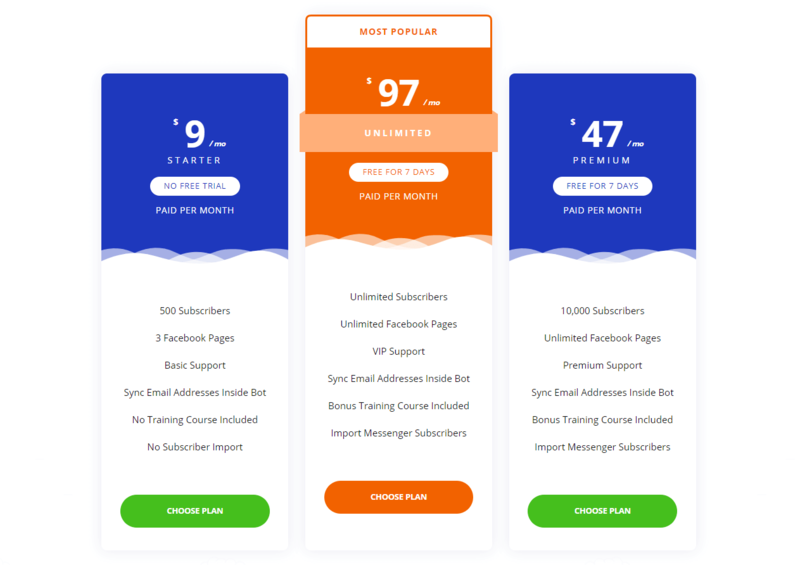 One of the biggest prices MSGhero has over the Manychat alternatives is that it allows you to send limited messages, to unlimited subscribers for only $97 / month with a Free Trial. For those of you planning on building a list of 25,000, 50,0000, or 100,000 subscribers you will save hundreds of dollars using a system that is proven to convert with MSGhero. - If your funnel requires multiple team members or managed by the marketing team, I would use Manychat as it has a clear outline and conclusion with different sequences. - If your funnel requires flexibility and a custom integrations, from more of a enterprise level, I would use Chatfuel with different interfaces and mind maps. - If your funnel is looking for an easier and mire affordable solution, from a company that is constantly adding feature and customer support, I would use MobileMonkey. This is why I choose to use the now as they are 50% cheaper then other alternatives. 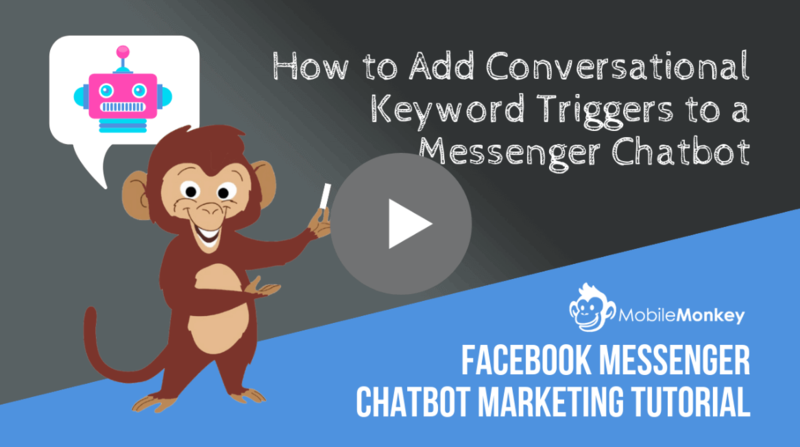 If this post on Messenger Marketing has not inspired you yet, get ready for an amazing ride with higher conversions and lower cost.